A classic 400mm diameter flush fitting ceiling light from Franklite lighting. 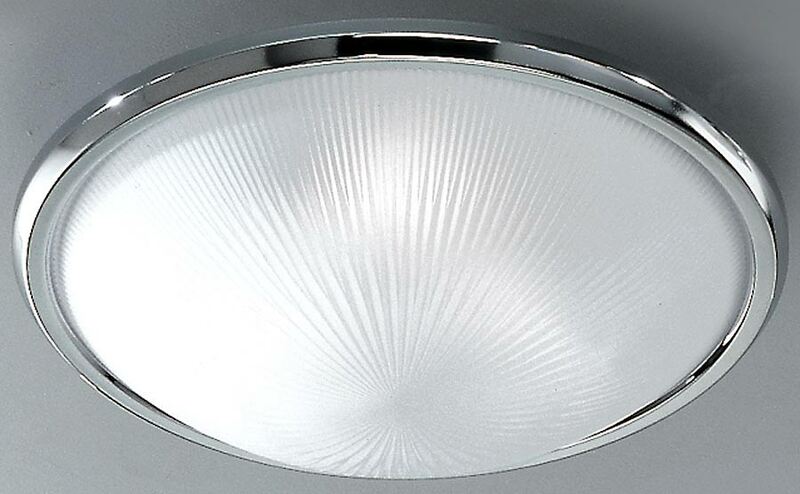 An understated ceiling light, with a polished chrome outer bezel and large domed central frosted prismatic glass shade. Perfect for any traditional room except bathrooms, hallway or landing. This fitting will accept three low energy lamps. Franklite, trusted for quality lighting.